The search for aesthetic perfection for atypical collectors: the world of Carl Suchy & Söhne is a second of ecstasy for 59 others waiting! The perfect alignment of the vertical guillochage of the first piece of the house, the Waltz, is a case study. It integrates the world of these fine timepieces where the slightest detail makes all the difference. As a general rule, when you already have everything, you still need a Carl Suchy & Söhne. We have been with the brand since its inception. However, aesthetics is not everything. The movement is signed Vaucher, which confirms the seriousness of the company and its ability to seduce the most discerning collectors. The Waltz is a first brick, with three needles, which also allows us to suppose vast creative horizons, very open. The manufactory has ongoing developments that will mark its uniqueness. 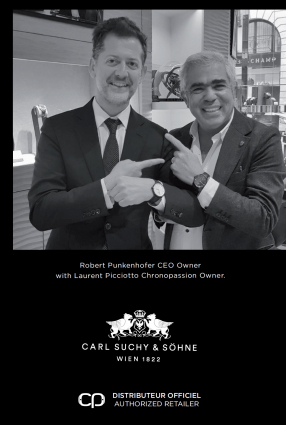 Austrian luxury watchmaking is a very special segment in the world of prestige watches and, for the time being, Carl Suchy & Söhne is the sole bearer of the standard, with a vision as artistic as it is elitist. 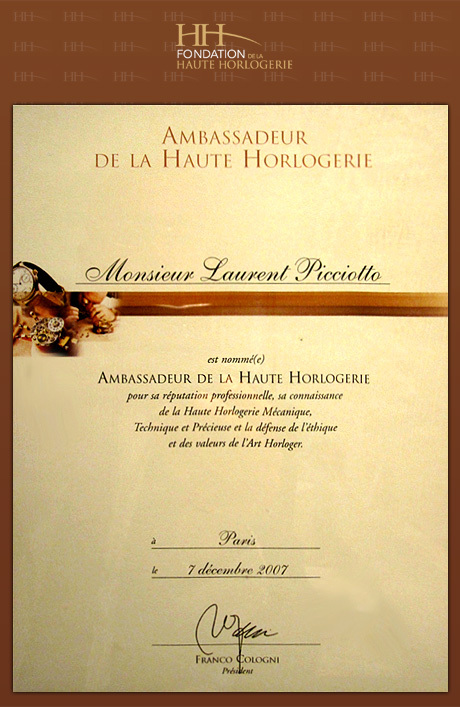 A unique case in haute horlogerie which, de facto, finds its place at Chronopassion.